Buddhism, one of the world's most widely practiced religions, is a fascinating yet complex eastern religion that is rapidly spreading throughout western civilization. What does it mean to be a Buddhist? What are the fundamental beliefs and history behind this religion? Buddhism For Dummies explores these questions and more in this updated guide to Buddhist culture. You'll gain an understanding of the origins of this ancient practice and how they're currently applied to everyday life. Whether you're a searcher of truth, a student of religions, or just curious about what makes Buddhism such a widely practiced religion, this guide is for you. In plain English, it defines the important terms, explains the key concepts, and explores in-depth a wide range of fascinating topics. 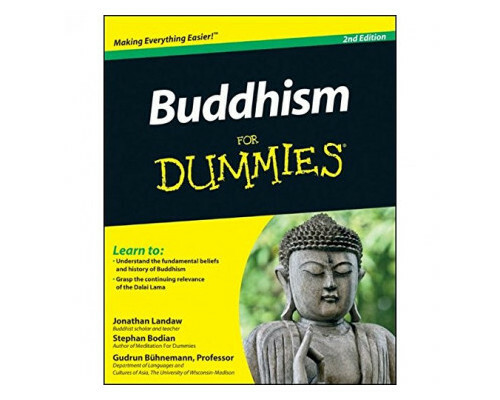 Continuing the Dummies tradition of making the world's religions engaging and accessible to everyone, Buddhism For Dummies is your essential guide to this fascinating religion.